This 65 Paolo Galliari design, built by Cantiere Santa Margherita, Italy, has sleek and attractive lines, combined with high performance and comfortable accommodation. 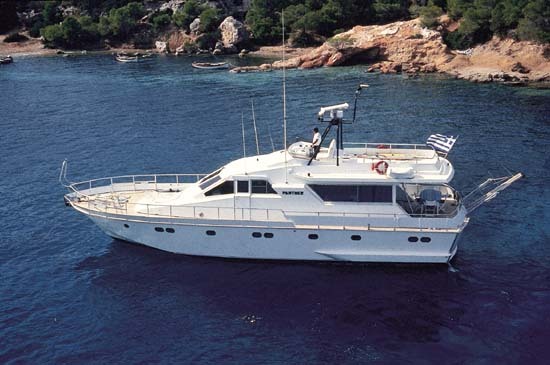 She rightfully ranks as a favourable yacht for charter especially among couples. Boarding from the stern you will find the shaded aft deck furnished with table and chairs for al fresco dining and relaxing. The fly bridge is completely cushioned and provides seating either for enjoying the view or sunbathing in total privacy, while on the foredeck there is another comfortable, large cushioned area. Entering the saloon from the aft deck there is an "L-shaped" settee and ample space for indoor meals or more intimate occasions. PANTHER has a variety of watersports equipment and her excellent crew of three will happily cater to all needs of the most discerning charterer. 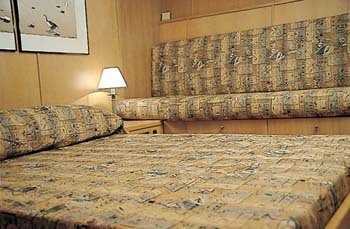 ACCOMMODATION : Descending from the saloon guests are led into a very private aft cabin with queen berth and en suite facilities. 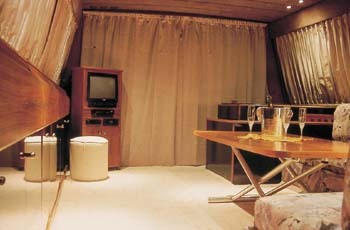 A separate staircase fore leads to another double cabin with settee, and a twin cabin both with ensuite facilities. 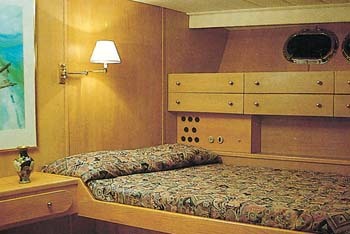 A fourth auxiliary childrens cabin with upper/lower berths is located in this section.